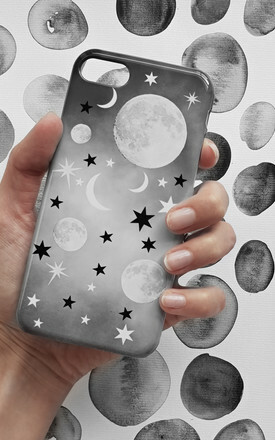 Full moons, crescent moons and stars adorn a cloudy and mystic night sky. 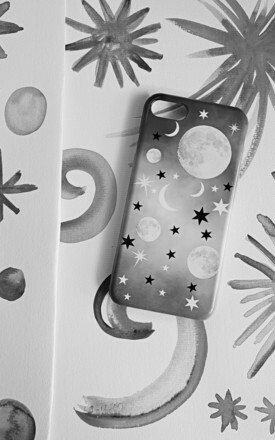 This monochrome constellation print case adds a touch of cosmic style to your device. 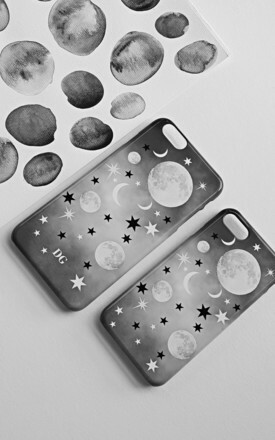 Varies depending on chosen device.